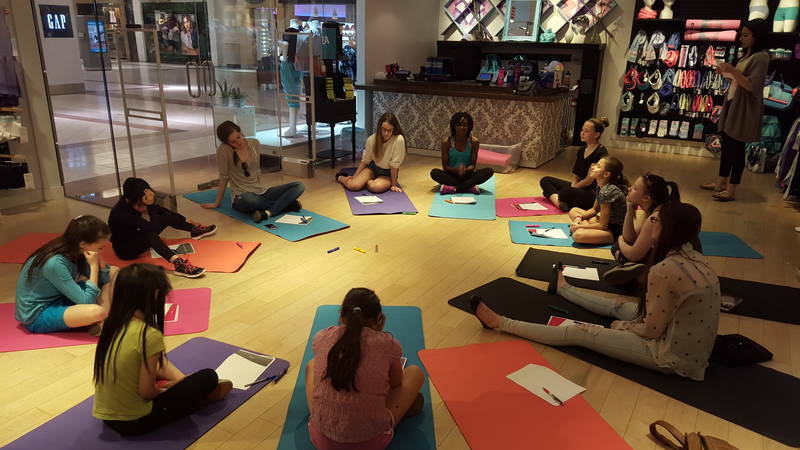 Elena's Rhythmic Gymnastics Club offers outstanding instructions in all levels of rhythmic gymnastics since 1995. 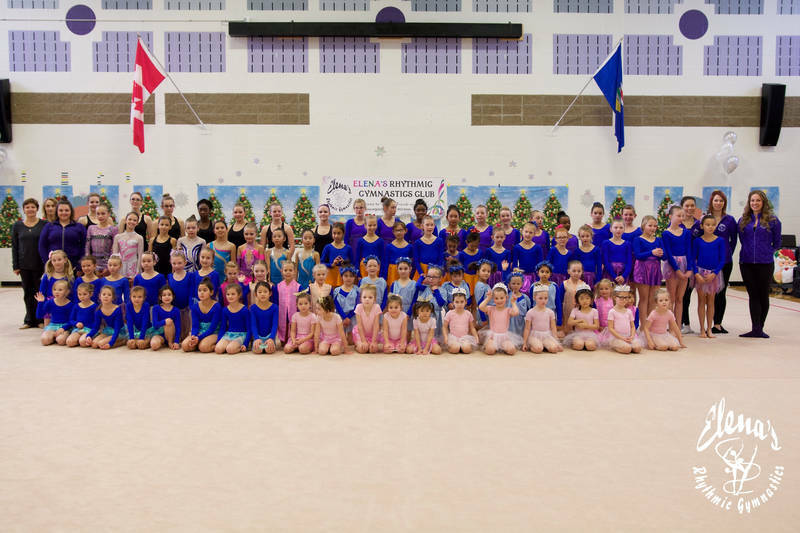 ERGC has unique recreational, performing and competitive programs for all ages, ranging from 4 years old, all the way up to adult classes. 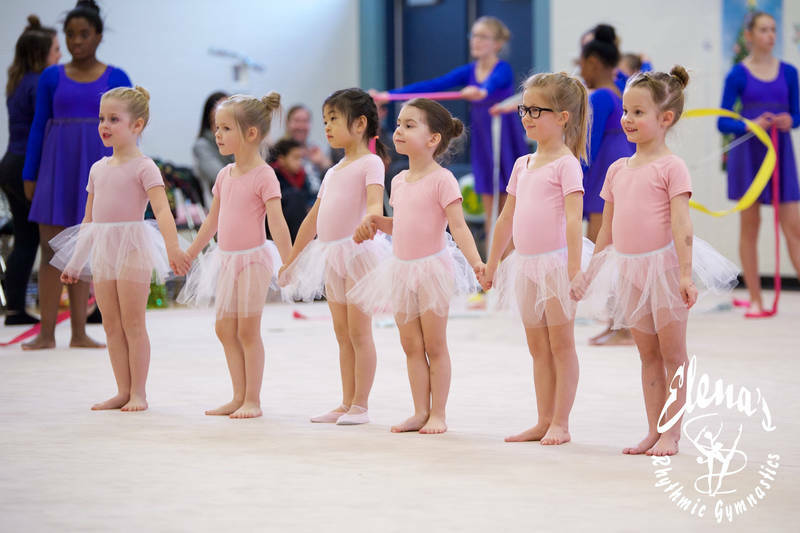 All of our recreational programs include a warm up, strength, stretching, jumping, introduction to ballet, acrobatics and fun working with rope, ball, ribbon and hoop. Class sizes are limited to insure quality and individual attention. 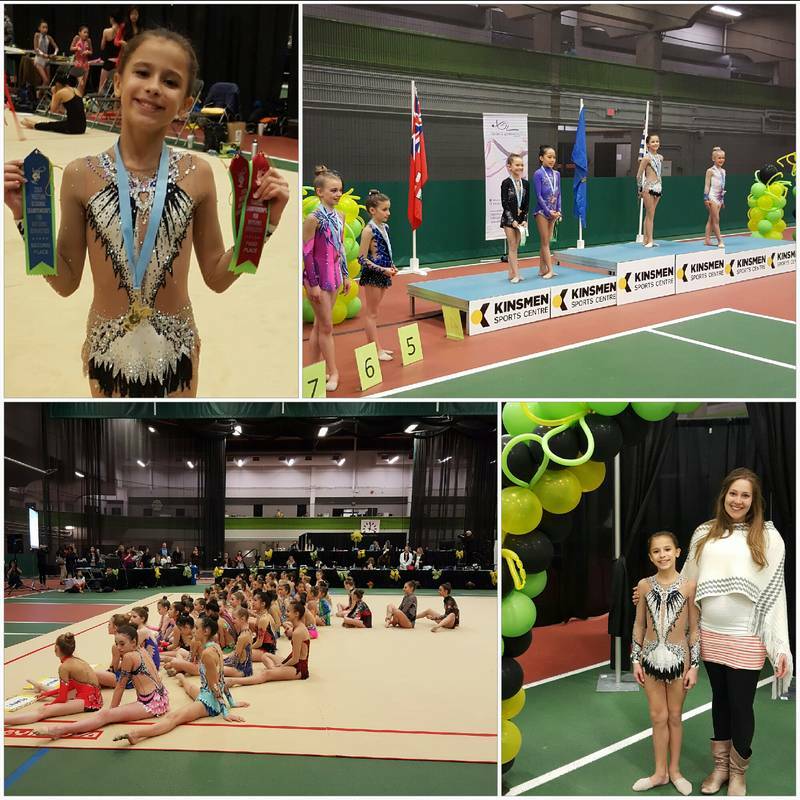 The excellent quality of our competitive program is evident by the results our gymnasts have achieved at competitions. 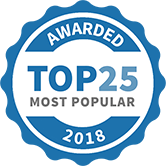 Among the accolades are 20 titles of "Alberta Provincial Champion" and "Western Regional Champion" and top honours at international, national and provincial competitions. 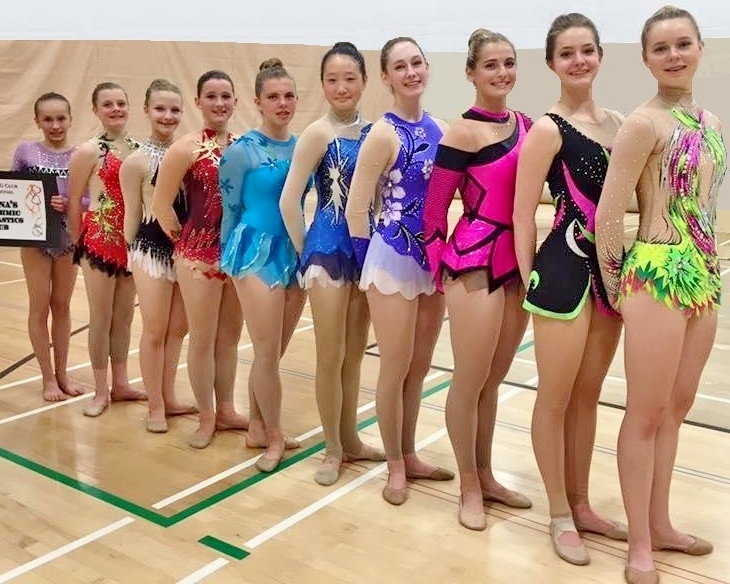 In 2011 and 2015 our performing team was part of Team Canada for the World Gymnaestrada! This is the largest athlethic event in the world with over 20,000 athletes performing. 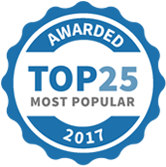 We will represent internationally again in 2019! ERGC is a non-profit society whose affairs are directed by an elected executive. 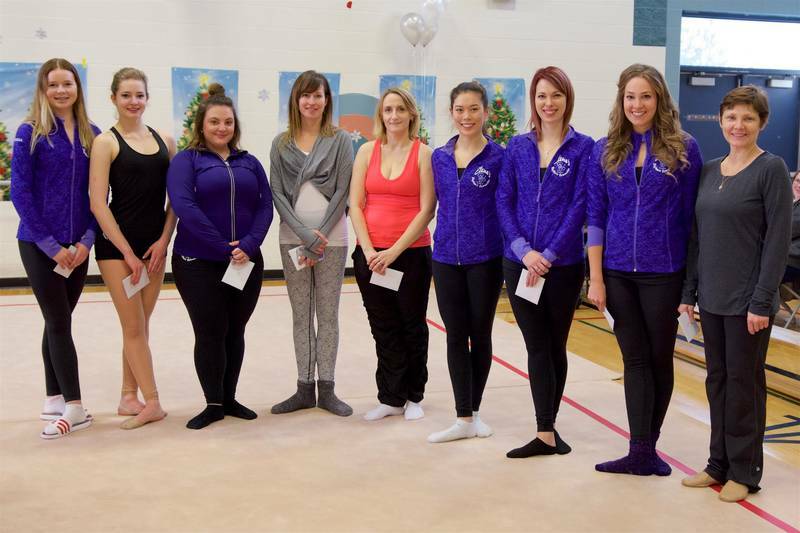 We are affiliated with both the Alberta and Canadian Rhythmic Gymnastics Federations. 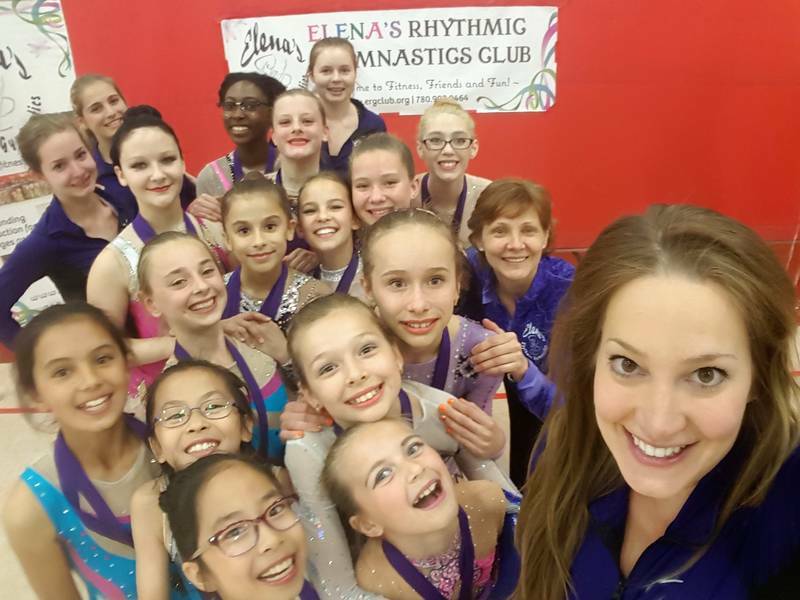 Elenas Rhythmic Gymnastics Club has been selected as one of our Most Popular Coaches! We are so close! Here is the official song for World Gymnaestrada in Austria July 5-13!